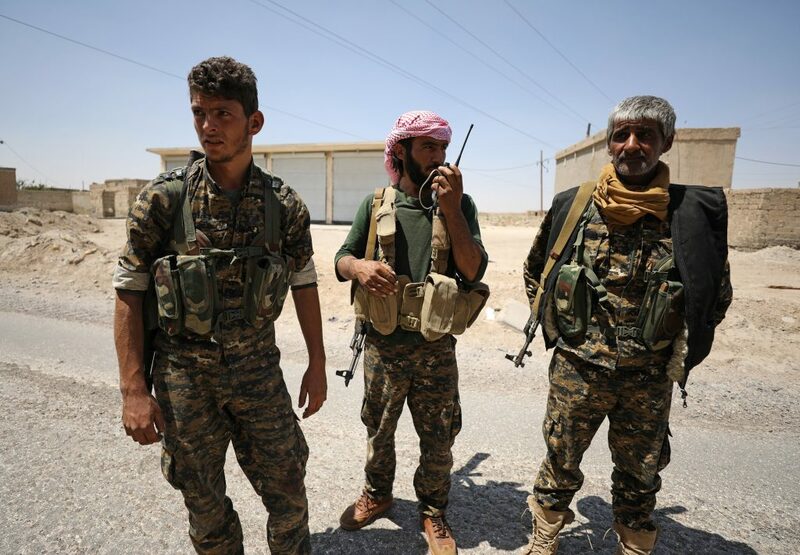 A U.S.-backed Syrian coalition of Kurdish and Arab rebels advanced against Islamic State in the jihadists’ Syrian capital of Raqqa on Sunday, taking the al-Qadisia district, they said. The SDF has pushed Islamic State from swathes of northern Syria over the past 18 months. Turkey-backed Syrian rebels have also taken territory from it and the Syrian army has this year advanced rapidly against it in desert areas. The U.S.-backed coalition has supported SDF advances against the jihadist group throughout the Raqqa campaign with artillery and air strikes, including some against Islamic State leaders. This month, the coalition said its air strikes had killed Turki Binali, a Bahraini cleric who was the group’s top religious authority and the most senior known Gulf Arab in Islamic State. It also said last week it killed Fawaz al-Rawi, who it said was an important Islamic State financier, in an airstrike in Syria.